EB and friends The Pinedale Lions Club held their annual Easter Egg Hunt on Saturday, April 20th at Boyd Skinner Park in Pinedale. The Easter Bunny showed up as a special treat and posed for pictures with the kids. Photo by Pinedale Online. 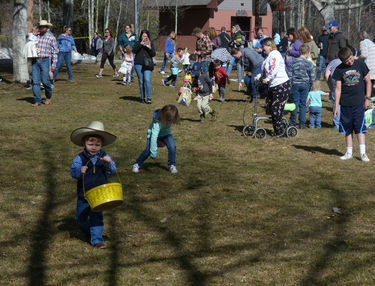 Pinedale Lions Club Easter Egg Hunt A huge crowd of kids showed up on a beautiful Saturday morning for the annual Pinedale Lions Club Easter Egg Hunt in Boyd Skinner Park in Pinedale. 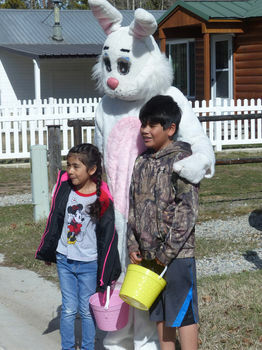 It didn't take long for the wave of kids to scour the park and find all the yummy treasures. 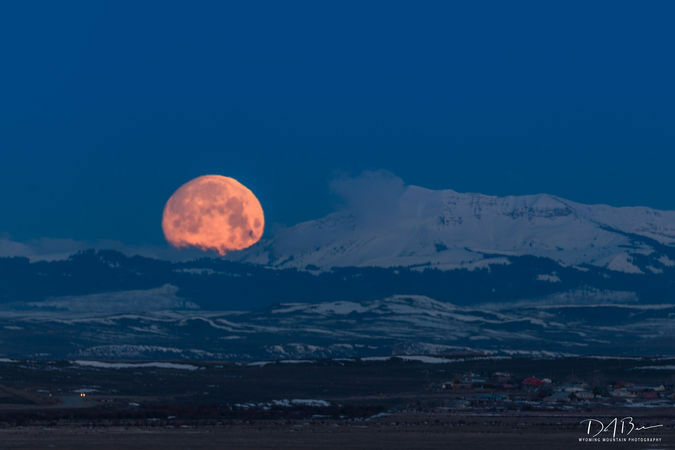 Photo by Pinedale Online. McDougal setting moon Dave Bell took this photo of the nearly full setting moon behind Mt. McDougal in the Wyoming Range in the middle of April. Click on this link to see more of Dave’s scenic photos of the area: Dave Bell Photo Gallery Photo by Dave Bell. 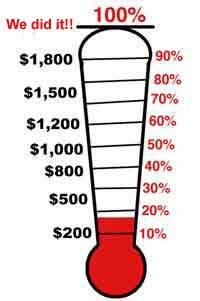 Click here for Fundraisers and Volunteer opportunities in Sublette County. Click here for YouTube Version of this same video. 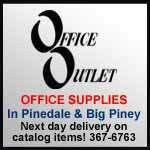 Pinedale Online is Pinedale, Wyoming on the web. 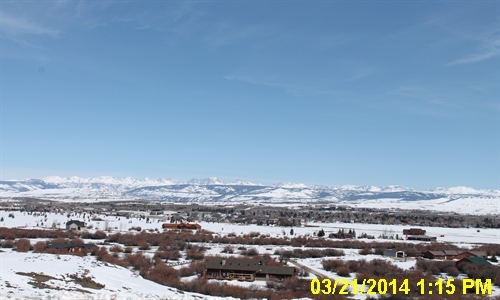 We give our viewers, locals and out-of-area visitors, a "slice of life" snapshot window into our world view of what is happening in Pinedale. 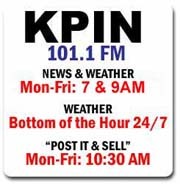 Visit us for current local news on what is happening, photos of local events, links to area businesses and services and more. We are long-time area residents and are happy to answer questions if you are planning a visit to our area. Much of our information is by community contribution. Bloomberg posted an article saying an offshoot of Alphabet Inc.’s Wing has become the first drone operator to receive FAA approval as an airline. This gives the company the certification it needs to begin routine deliveries of small consumer items by drone. The article says the company plans to begin testing in two rural communities in Virginia within the next few months. Because of current regulations, in order for Wing to operate over long ranges out of sight of an operator and actually charge for service, it needed to work with the FAA to become a full-fledged air carrier. Drone regulations still don’t permit most flights over crowds and urban areas, limiting where Wing can operate, but the approvals give the company the ability to begin charging for deliveries of clients’ goods and to apply for permission to expand to other regions. Wing’s new status also clears the way for other companies seeking to delve into drone commerce. -	You own your own home. -	Your total personal assets do not exceed $120,339 per adult household member. The due date for the Veteran’s Property Tax Exemption is the fourth Monday in May. The due date for the Wyoming Property Tax Refund is the first Monday in June. Application forms are available from the local County Treasurer or Wyoming Department of Revenue, 122 W 25th Street, 3-East, Cheyenne, Wyoming. For more information contact your county treasurer or call the Department of Revenue at 307-777-7320. PINEDALE - The Wyoming Game and Fish Department reminds antler hunters there is a season in place which prohibits the gathering of horns or shed antlers from January 1 through April 30 on public lands west of the Continental Divide in Wyoming. This regulation has been in effect since 2009 and includes all state-owned lands as well as federal lands. In addition, many big game winter ranges in both Teton and Sublette counties have further restrictions to either human presence or motor vehicles during the winter months. However, the shed antler regulation does apply to all other federal or public lands not covered under such winter range closures. According to the Wyoming Game and Fish Commission regulation, "collection" is defined as: to search for, locate, stockpile, or possess shed antlers and horns of big game animals on public land or attempt to search for, locate, stockpile, or possess shed antlers and horns of big game animals on public land. The purpose of the seasonal closure is to minimize harassment or disturbance of big game animals on their winter and spring ranges when animals are most vulnerable to stress and displacement to less productive habitats. This winter has been particularly hard on many big game herds in western Wyoming, so it is especially important that these animals not have to endure any unnecessary stress at this most critical time of year. In addition, any antlers or horns found in Wyoming that are still attached to the skull need to be tagged with an Interstate Game Tag by a Wyoming Game and Fish law enforcement officer. Individuals need to contact a game warden prior to removing the head from the field. There is an $8.00 fee for the tag. Many animals are now beginning their annual migration toward their summer ranges. Many animals will be crossing roadways, so motorists are asked to slow down and keep a close watch for animals, especially during dawn and dusk hours. Additionally, landowners are asked to open any gates they can to make it easier for animals to move across the landscape. With the continued increase in popularity for shed antler hunting, and a corresponding increase in public complaints of violations, Wyoming Game and Fish wardens continues to increase enforcement efforts to make sure everyone is playing by the rules. Each winter, the Wyoming Game and Fish Department details additional game wardens from across the state to increase the enforcement presence on key winter ranges, both to deter the poaching of big game during early winter and enforce the antler hunting regulation after animals have shed their antlers. Each winter, antler hunting citations are issued to individuals who violate shed antler regulations. "We hope these citations and the resulting sentences send a strong message that we are taking these violations seriously," said Pinedale Wildlife Supervisor John Lund. As with other laws and regulations, enforcement and public cooperation are key to effectiveness. Anyone witnessing a wildlife violation may call the Stop Poaching hotline at 1-877-WGFD-TIP. Tips are most helpful when they are reported promptly and include information such as the date, time, location and specific details about the suspected violation. Also important is a physical description of the suspected violator as well as a license plate number and description of any vehicles involved in the incident. Stop Poaching tips can also be reported online at: https://wgfd.wyo.gov/law-enforcement/stop-poaching. Tips may result in a reward and informants can choose to remain anonymous. The Oregon Department of Fish & Wildlife has released a revised wolf conservation and management plan and is accepting public comment on the document through June 7. The plan provides for more flexibility in lethal control of wolves that repeatedly prey on livestock. The document can be downloaded at the link below. Seven Canadian wolves, 3 females and 4 males, were translocated to Isle Royale National Park over the weekend by the Ontario Ministry of Natural Resources and Forestry (OMNRF) and the National Park Service (NPS). Fundraising by the National Parks of Lake Superior Foundation (NPLSF) and International Wolf Center (IWC) allowed the agencies to move six wolves from Michipicoten Island Provincial Park where they have run out of caribou, their only large prey, before ice and wolf health deteriorated such that successful translocation would not be possible. Additionally, a black wolf was translocated from the Ontario mainland. With this latest translocation effort, the population of wolves on Isle Royale is now 15. "This successful effort resulted in exceeding our first-year population goal while providing a buffer for potential losses." Superintendent Green said. "Importantly, we were able to maintain a balance of males and females." The lack of an adequate food source and a hard winter caused the Michipicoten wolves to be in poor body condition, which we expect will improve due to the burgeoning moose population in their new home on Isle Royale. The black wolf was in the best condition of the seven released. Despite the deaths of 177 wolves in Wyoming in 2018, the state¡¯s wolf population tallies at least 286 (an 18% drop from a year ago), and agencies spent at least $1.5 million on wolf management and monitoring. Wyoming is required to maintain at least 150 wolves and 15 breeding pairs in order to comply with federal delisting standards. More specifically, under a deal negotiated between the U.S. Fish & Wildlife Service (FWS) and the State of Wyoming, state officials are responsible for maintaining at least 100 wolves and 10 breeding pairs within the state¡¯s jurisdiction, while Yellowstone National Park and the Wind River Indian Reservation are expected to contribute the remaining 50 wolves and 5 breeding pairs to meet the 150 wolves/15 breeding pair requirement. WG&F is responsible for managing wolves in northwestern Wyoming¡¯s wolf trophy game area, while in the remainder of the state, wolves are treated as predators and can be killed at any time. WG&F had hoped that the 2018 wolf hunting season in the trophy zone would result in a reduction of the population to 160 wolves, but the result was that the wolf population within that zone dropped even more than anticipated, to 152 wolves in that zone, and 11 breeding pairs. Still, for the 17th consecutive year, Wyoming has exceeded the numerical, distribution, and temporal delisting criteria established by FWS. Wyoming¡¯s wolf population had an average of 13% growth despite 34% human-caused mortality from 2000-2018, according to WG&F. There are currently 90 wolves in 31 packs wearing radio-collars in Wyoming, according to WG&F. The report noted decreases in the number of wolves, wolf packs, breeding pairs, and average pack size, "primarily through human-caused mortality, but natural processes driven by density-dependent mechanisms also contributed to these reductions. "Density-dependent mechanisms are factors that increase mortality and/or reduce pup recruitment when wildlife populations are at high density, causing a resultant limitation or reduction of population growth," according to the report. Evidence for density-dependent limitations of the wolf population include increasing disease prevalence, reduced reproduction and pup recruitment, and increased intraspecific aggression between wolf packs (i.e., wolves killing other wolves. "For example, intraspecific aggression increased as wolf density increased in the northern range wolf population in Yellowstone National Park, contributing to reduced population growth at high density/ Similarly, documentation of much higher intraspecific aggression between wolves in WYO in 2018 suggests density-dependence was a factor influencing wolf population growth. "Reproduction and recruitment of pups was markedly low in 2018, providing further evidence of density-dependent factors within the WYO wolf population." This is the first year since 1995 there was no intraspecific-caused mortality in Yellowstone National Park, which is usually the leading cause of natural mortality in the park. To read the entire annual report, click on the link below. The White Mountain Independent put up an article detailing the debate about county government cooperation in Mexican wolf recovery, in a post linked below. Mexican wolves were released along the New Mexico/Arizona border in 1998, and the population has grown to about 130 animals. A reading of the monthly Mexican wolf update from the Arizona Game & Fish Department (AZGFD) gives an overview of the struggles experienced by livestock producers, with Mexican wolves confirmed as killing cattle on nearly a daily basis during the month of March. "During the month of March, there were 20 confirmed wolf depredation incidents on livestock and one confirmed wolf depredation on a dog. There was one nuisance incident investigated in March. From January 1, 2019 to March 31, 2019 there have been a total of 42 confirmed and three probable wolf depredation incidents in New Mexico and five confirmed depredation incidents in Arizona. On March 3, Wildlife Services investigated a dead calf in Catron County, NM. The investigation determined the calf was a confirmed wolf depredation. On March 5, Wildlife Services investigated a dead calf in Catron County, NM. The investigation determined the calf was a confirmed wolf depredation. On March 6, Wildlife Services investigated a dead dog in Catron County, NM. The investigation determined the dog was a confirmed wolf depredation. On March 9, Wildlife Services investigated a dead calf and two dead cows in Catron County, NM. The investigations determined that the calf and one cow were confirmed wolf depredations. The cause of death for the second cow was unknown. On March 11, Wildlife Services investigated a dead cow in Catron County, NM. The investigation determined the cow was a confirmed wolf depredation. On March 12, Wildlife Services investigated a dead calf in Catron County, NM. The investigation determined the calf was a confirmed wolf depredation. On March 14, Wildlife Services investigated two dead cows in Catron County, NM. The investigation determined both cows were confirmed wolf depredations. On March 19, Wildlife Services investigated four dead cows in Catron County, NM. The investigations determined three cows were confirmed wolf depredations, one cow died from unknown cause. On March 21, Wildlife Services investigated a dead cow in Catron County, NM. The investigation determined the cow was a confirmed wolf depredation. On March 22, the IFT took a report of an elk killed by wolves next to a house near Alpine, AZ. The IFT investigated the report and determined wolves from the Hoodoo Pack had killed a cow elk overnight within 50 feet of the residence. The carcass was removed to eliminate any attractant to wolves returning to the area. On March 23, Wildlife Services investigated an injured horse that later died from injuries in Catron County, NM. The investigation determined the horse was a confirmed wolf depredation. On March 24, Wildlife Services investigated a dead calf in Catron County, NM. The investigation determined the calf was a confirmed wolf depredation. On March 25, Wildlife Services investigated a dead bull and a dead calf in Catron County, NM. The investigations determined the bull and calf were both confirmed wolf depredations. On March 27, Wildlife Services investigated a dead cow in Catron County, NM. The investigation determined the cow was a probable wolf depredation. On March 27, Wildlife Services investigated a dead cow and calf in Greenlee County, AZ. The investigation determined the two animals were confirmed as having been killed by wolves and classified as one depredation incident. On March 28, Wildlife Services investigated three dead cows in Catron County, NM. The investigation determined one cow was a confirmed wolf depredation and two were probable wolf depredations. On March 28, Wildlife Services investigated a colt that was injured and later euthanized in Apache County, AZ. The investigation determined the colt was a confirmed wolf depredation. On March 30, Wildlife Services investigated a dead cow in Catron County, NM. The investigation determined the cow was a confirmed wolf depredation. On March 30, Wildlife Services investigated a dead calf in Apache County, AZ. The investigation determined the calf was a confirmed wolf depredation." 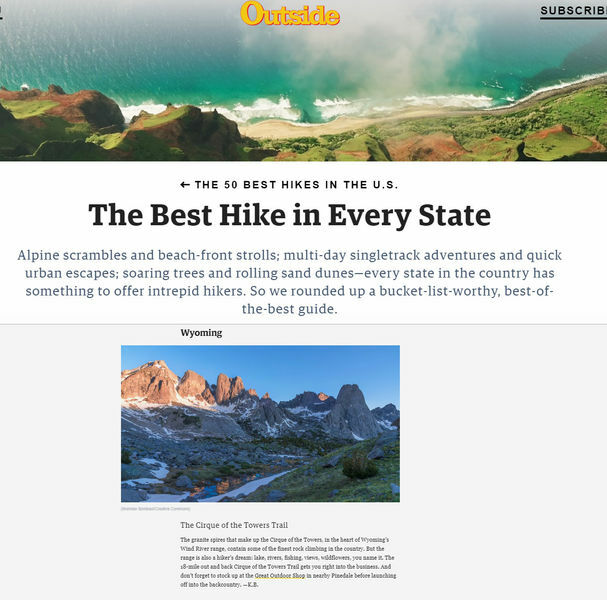 50 Best Hikes in the U.S.
Outside magazine posted an article online on April 15th listing "The 50 Best Hikes in the U.S.," calling it a bucket-list-worthy, best-of-the-best guide. The magazine polled their writers and editors to come up with what they feel are the very best hike in each of the states of the nation. The granite spires that make up the Cirque of the Towers, in the heart of Wyoming’s Wind River range, contain some of the finest rock climbing in the country. But the range is also a hiker’s dream: lake, rivers, fishing, views, wildflowers, you name it. The 18-mile out and back Cirque of the Towers Trail gets you right into the business. 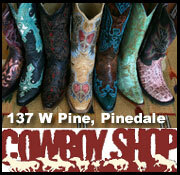 And don’t forget to stock up at the Great Outdoor Shop in nearby Pinedale before launching off into the backcountry. 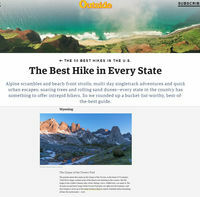 Click on this link to read the full article: THE 50 BEST HIKES IN THE U.S. The State of Wyoming is in the process of mapping broadband connectivity and speeds across the state as a part of its efforts to enhance broadband in the State. The mapping exercise asks a few questions, including your address. The speeds will be attached to your address in the data base. Information will be used by the Wyoming Business Council to focus Broadband enhancement efforts. 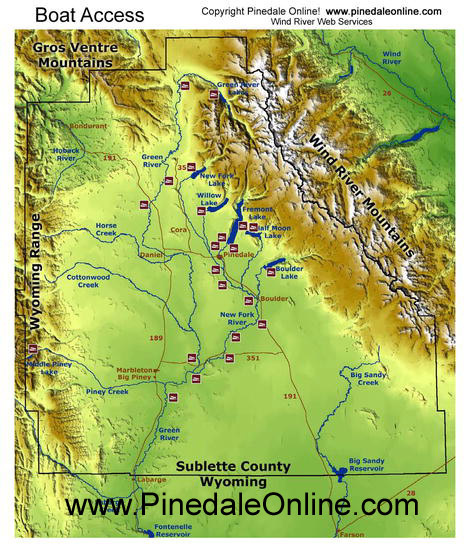 Big Piney, Pinedale, Marbleton, and Sublette County have been working towards obtaining grants to help fund broadband infrastructure in the County and towns. Public comment will be accepted on the amendments until April 26. Please email comments to Russ Elliott, russ.elliott@wyo.gov. The Federal Communications Commission has established that "advanced telecommunications capability" requires access to download speeds of at least 25 Mbps and upload speeds of at least 3 Mbps. Residents of rural Wyoming areas are limited by access, with an average download speed of just 17 Mbps. 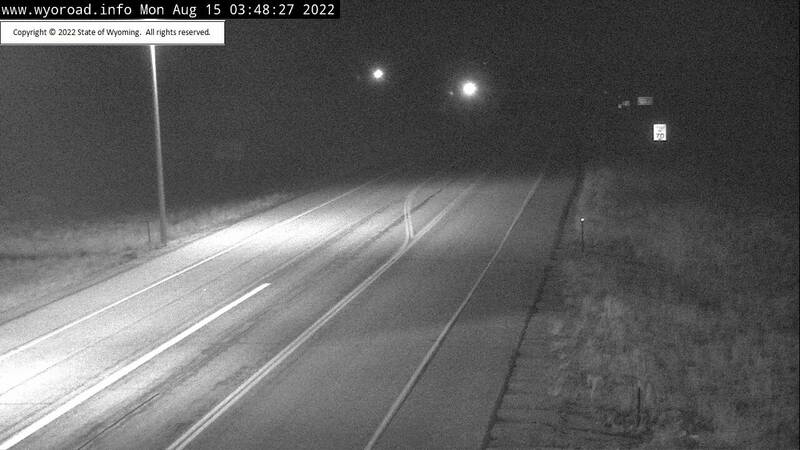 The State of Wyoming has built a tool that will measure connectivity at any location throughout the state. By taking the speed test, you are participating in the State’s data-collection efforts and giving the State the information they need to determine location and service levels. This data will be shared with providers throughout the state so they can see where Wyoming could use their support and infrastructure. •	Your location must be in the state of Wyoming. •	It is best if you can take the test in the evening hours, between 4:30PM to 7:00PM. •	If you are on a desktop computer connected to your home or business internet service, continue to the speed test and survey. The Board of Trustees of Sublette County School District #1 is accepting applications for a vacant Pinedale At-Large Trustee Seat. This vacancy is for an At-Large Trustee seat and the appointment will be to fill the vacancy with the term ending November 30, 2022. Residency within the Pinedale Trustee Area may be verified with the County Clerk’s Office. Candidates must obtain an application packet from the Superintendent’s Office beginning on April 8, 2019. Completed applications will be due to the Superintendent’s Office by Noon on April 22, 2019. Only completed applications will be considered for the interview process. A date for interviews with the Board of Trustees is to be determined. Based on the number of candidates, interviews with the Board of Trustees will be scheduled with the times to be determined. We anticipate these will be held the week of April 22 - 26, 2019. The appointment will be made at a Special Meeting to follow. Regular school board meetings are held on the second Thursday of each month. Other Special Meetings are held as needed. Board member trainings are provided. For more information, please contact the Superintendent’s Office at 307-367-2139 ext. #5224. The Wyoming Game and Fish Department will hold a public meeting to discuss potential renovations to existing wetlands at the Soda Lake Wildlife Habitat Management Area five miles north of Pinedale. The meeting is scheduled for Wednesday, April 24, from 6-8 pm at the Game and Fish office in Pinedale. A number of customers have reported receiving fraudulent calls from scammers posing as utility representatives. The caller insists that the customer is behind on their bill and then threatens that, without an immediate payment, service will be disconnected. This week the reported scam calls have primarily been targeted to business customers. Some insist on the victim obtain a prepaid card and share the code while one customer was even asked to meet the scammer at a specific location. If the caller says he is with the "Rocky Mountain Power Disconnection Department." No such department exists. Rocky Mountain Power provides safe and reliable electric service to more than a million customers in Utah, Wyoming and Idaho. The company works to meet customers’ growing electricity needs while protecting and enhancing the environment. Rocky Mountain Power is part of PacifiCorp, one of the lowest-cost electricity providers in the United States. 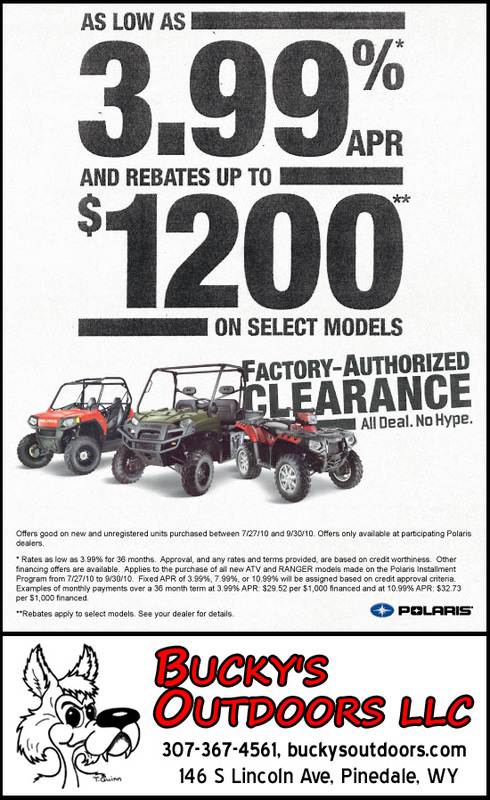 More information at www.rockymountainpower.net. PINEDALE, WYOMING - The Wyoming Department of Transportation have begun working on several bridges on US 189/191 north of Daniel Junction. WYDOT, along with contract crews from Lewis & Lewis, Inc. have set up traffic control at two bridge locations at Warren Bridge (milepost 120.20) and North Beaver Creek Bridge (milepost 127.45). Traffic will be reduced to a single lane and controlled by a timed traffic light. 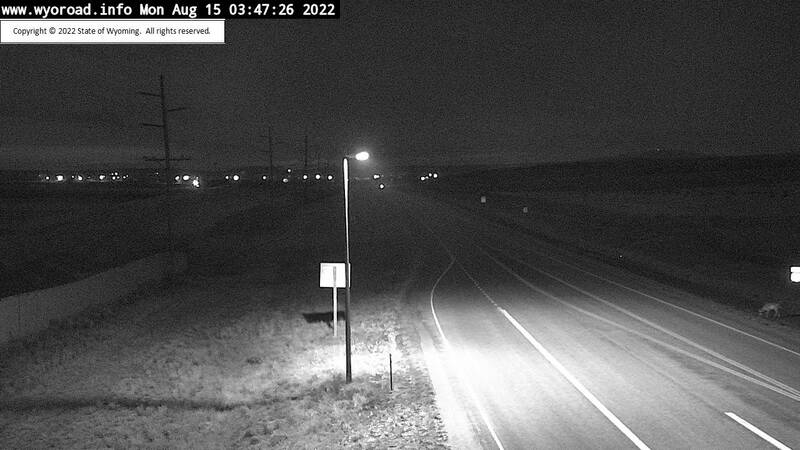 WYDOT is asking that drivers to expect delays and plan their travel accordingly. The work will include pavement surfacing, bridge rehabilitation and miscellaneous work on 8.5 miles of US 189/191 beginning at milepost 120. Paving and work on an additional bridge will take place in June. The completion date for this work is Oct. 1, 2019. All work schedules are subject to change. WYDOT would like to remind drivers to slow down in work zones and be alert and cautious of roadside workers. For more information on road construction, closures and weather conditions, please visit http://www.wyoroad.info. M & M Transfer, Inc.
Where did that story go? 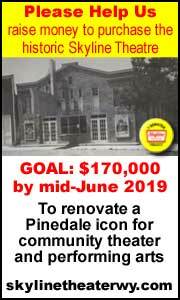 For more Pinedale news for Locals, see our Pinedale Local page. visit our local Sublette.com, BigPiney.com/Marbleton.com, and Bondurant community web sites.